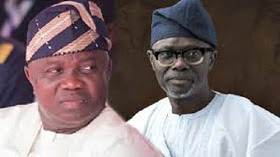 Governor Akinwunmi Ambode on Wednesday congratulated Jide Sanwo-Olu, his opponent in the All Progressive Congress governor's primary election in Lagos State for emerging the winner. 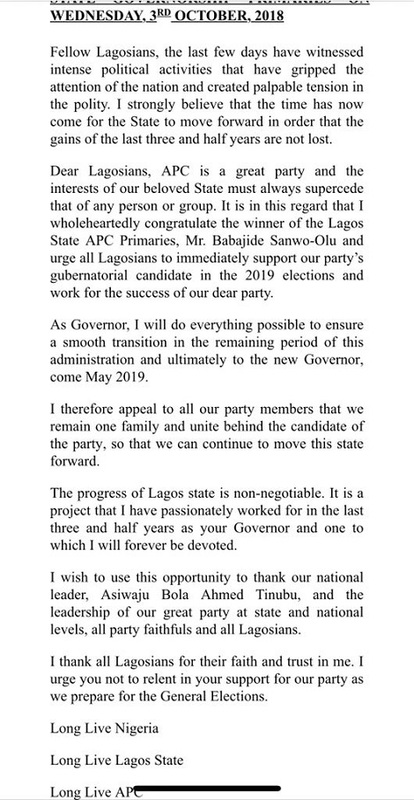 He shared his congratulatory message at a press conference. 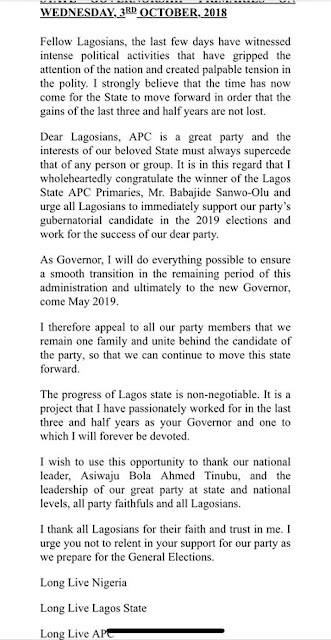 Ambode reportedly urged members of the APC to support Sanwo-Olu, winner of the party's Lagos governorship primary.